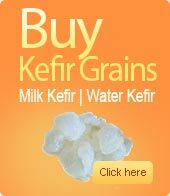 Kefir grains are believed to be a great blessing from Prophet Mohammad, have innumerable qualities to induce a good health. 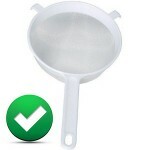 Hence when preparing kefir milk, one must be aware of the utensils and other things that are used in the process. It is a big question nowadays as to whether metal objects can be used when preparing milk kefir. The fact is, when this unique product was first used, there was nothing like metal utensils. But with the advancement of technology, modern people use various types of utensils and containers for their regular cooking and storing requirements. But if you are making milk kefir, you better not use metal objects. 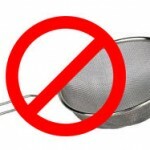 There are certain reasons why metal items cannot be used while making kefir. The first reason is that kefir grains are acidic in nature and so when they come in contact with reactive metals they readily react. Which metals should be avoided? Metals like brass, iron, copper, zinc and aluminum are the most common among the reactive metals. If kefir grains are stored, or kefir milk is prepared and stored in containers made of any of these metals, the metallic ions of the container will come in contact with the grains that are naturally acidic. If these ions from the heavy metal containers accumulate on a regular basis, toxic levels can rise thereby contaminating the milk thus produced. Its harmful effects can be fatal as well. Today stainless steel is a popular metal that is used to make various types of utensils. 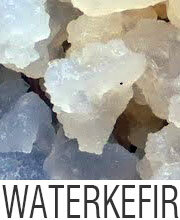 It is an inert metal and is therefore used in preparing kefir in stainless steel utensils. The sieves, bowls and containers can safely be used to store kefir water or milk and the spoon too can be used to stir the milk kefir. However the most inert element is glass and is therefore the safest for storing kefir as it is absolutely non-reactive. Plastic strainers and stainless steel strainers can be easily used in the making of kefir. 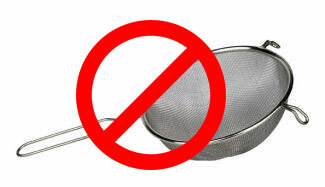 A bamboo strainer can work well too. It is available in different sizes and shapes. The thin bamboo strips are unique kefir strainers. Ideas and lifestyle has changed. 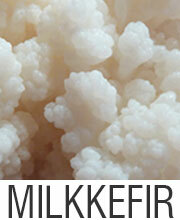 But if the advantages of kefir milk are to be enjoyed, one must avoid using metals. Glass, wood or plastics are the best choices. Tagged Kefir grains, Kitchen utensils to use for making dairy kefir at home, Which utensils to use for making Kefir ?